Many aspects of supply chain management are changing, procurement being no exception. And, given the digital transformation that is influencing critical areas of business and affecting the way operations are managed, the strategies executives employ in achieving their goals are also beginning to shift. To facilitate organizational success and sustainability, procurement professionals must ensure they are adopting the best-in-class solutions for their companies. 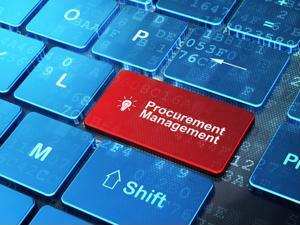 An obvious goal of any procurement leader is to uncover cost-savings opportunities. However, solely focusing on ways to save money is not an effective approach to supply chain optimization because it has the potential to hurt other critical areas. For example, obtaining services or goods based on price alone may mean overlooking the value (or risk) the chosen partner presents. In addition to pricing, here are four important elements procurement professionals should prioritize. Companies across the globe are facing increased pressure to improve transparency and end-to-end visibility. Not being able to see into both immediate and distant tiers of the supply chain can hurt organizations. Risk mitigation planning needs to be a primary goal of business executives, especially as the elevated levels of connectivity and digitalization bring a growing amount of chances for disruption. Natural disasters and other unplanned disruptions can severely stall production. It is imperative that supply chains are able to maintain business continuity in the event of an unexpected event. But it is also critical that they ensure their suppliers are able to do the same. Supplier relationships play a pivotal role in the success of an organization. Supply Chain Digest recently reported that, according to a Deloitte global survey, only 32 percent of procurement executives said they consider their strategic partnerships to be "excellent." The majority, or 65 percent, reported that their efficiency in this department is "mixed." This clearly indicates the need for more companies to improve their relationship management strategies. Another essential responsibility of procurement leaders is to evaluate the performance of suppliers to ensure they are delivering the expected quality and quantity of goods and/or services. As Modern Materials Handling editorial contributor Shruti Agrawal pointed out, there are some key areas that should be identified when evaluating and considering new suppliers. For example, it is beneficial to not only look at their capacity and capabilities for meeting the existing needs of the business, but future ones as well. The digital environment is making it so supply chains must be agile and adaptive; as should their partners. They must also be monitored and measured on their risk and compliance levels. As previously mentioned, low cost is not the only factor to consider with procurement because lower pricing can be offset by a supplier that is constantly running into production delays or making late deliveries. One of the most effective strategies for procurement and supply chain professionals hoping to lower costs is to improve operational efficiency and streamline production. And making sure the best, most cost-effective processes are being used is part of this goal. The rapid adoption of automation and digital technologies is providing businesses with new, better ways of enhancing operations. Just about every function of supply chain management can be supplemented with a technological tool or system - from finding and onboarding new suppliers to detecting and preventing risks. And, according to Supply Chain Digest, the Deloitte survey cited digital procurement strategies as one of the biggest emerging trends and top priorities. Furthermore, the source suggested that the study's findings indicated it may not be too long before executives are focused more on competing for technology solutions than for talent. This prediction makes sense, considering robotics and automation processes are already starting to replace some of the roles and responsibilities of traditional workers, particularly in warehousing and factory settings. All the above factors play a critical role in procurement leaders building an effective strategy. And regardless of what the specific goal at hand is, it is going to become increasingly necessary for corporate executives to implement technology and automation tools into their solutions. The most successful procurement models are those that leverage the advanced sources available to them without exceeding budget. For some, this may mean outsourcing certain functions to third-party firms. Source One's strategic sourcing and procurement transformation are leading experts in helping companies adopt best-in-class solutions to enhance their procurement operations. Find our industry thought leaders at ISM2016, where Source One is the diamond sponsor of the exclusive procurement and supply management leaders conference, Exec IN.